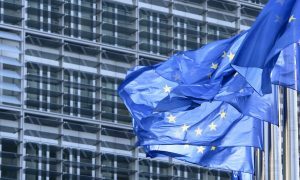 A UK firm that supplies e-liquid sampling units to several European countries claims the EU Tobacco Products Directive (TPD) has had an adverse effect on its business. The London-based company, Vapedex, also calls for better hygiene in vape stores. Samplers vary in size, price, and quality and can cost as much as £3750 (€4277). Koeman also raised the importance of hygienic practices, saying: “An unfortunate trend that we notice quite often is that stores are not concerned about hygiene for their customers. What This Means: Vaping samplers are a potential growth tool for bricks-and-mortar vape shops. However, if TPD implementation is causing shops to be wary, as Vapedex says, uptake may be restricted. Deeming regulations: no more store-branded e-liquids?